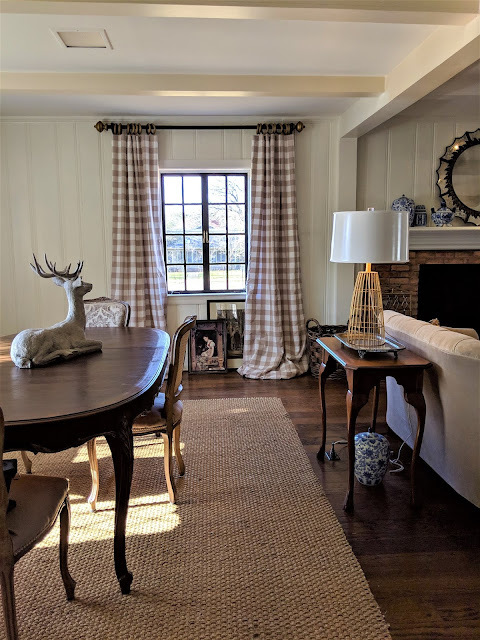 Its foundation is based upon Roman Catholic faith; a celebration and feast held the Tuesday before Ash Wednesday, marking the beginning of Lent. During Lent, the symbolic forty-day period leading up to Easter, Christians repent, exercise self-denial, and largely fast from meat. Mardi Gras, or Fat Tuesday, began as a day of feasting, where all meat, wine, and rich foods to be given up as a symbolic gestor for Lent, would be consumed. As you can imagine, this was quite a celebration. The celebration of Mardi Gras dates back centuries to Medieval times. In 1699 it is rumored the practice arrived upon the shores of the US when French explorer, Jean Baptiste Le Moyne Sieur de Bienville came ashore approximately 60 miles south of what is today, New Orleans, naming the place Pointe du Mardi Gras. It is recorded that the soldiers realizing their arrival was near Ash Wednesday, held a small celebration of Lent. 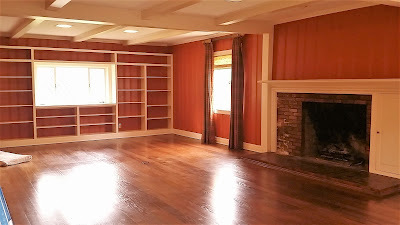 He later established Fort Louis de la Mobile, in Alabama where the first Mardi Gras was celebrated in 1703. 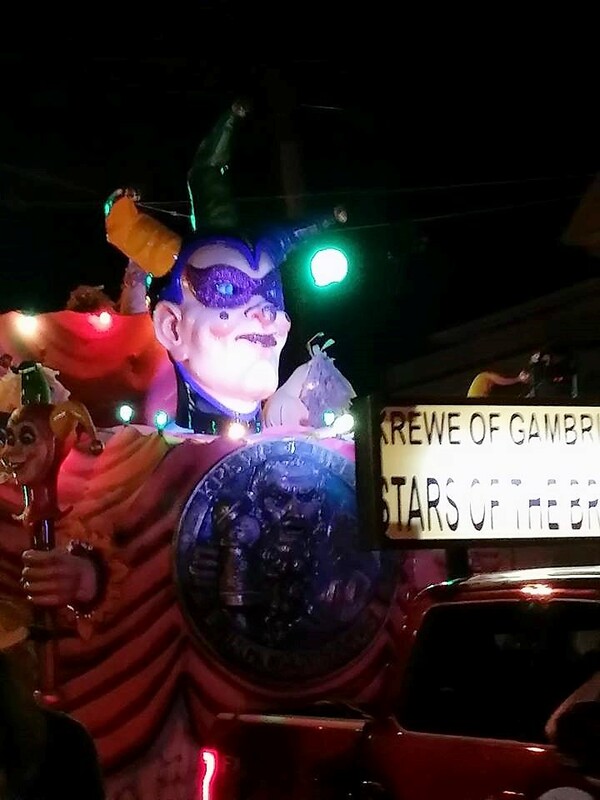 The Mystic Society; “Masque de la Mobile” established in 1704 is believed to be the first “Krewe”, or secret organization of people band together to form a Mardi Gras celebration. 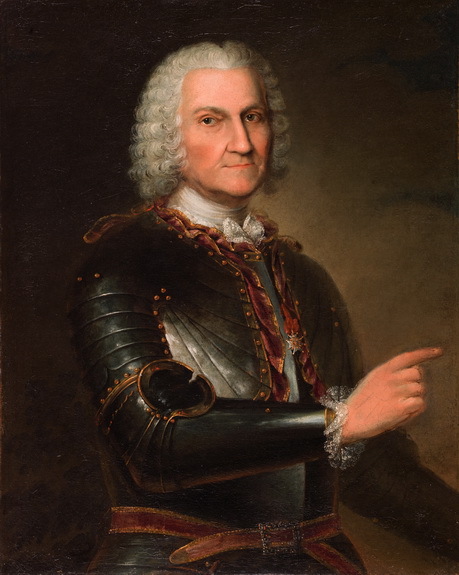 New Orleans was established in 1718 by Jean Baptiste Le Moyne Sieur de Bienville. 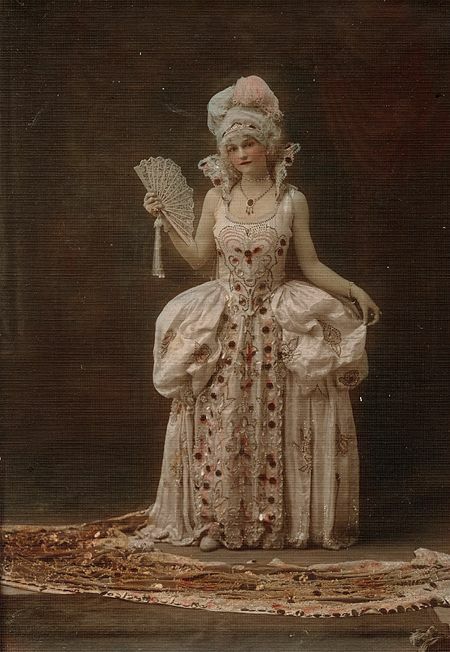 Mardi Gras celebrations began with an elegant society ball in 1730. The practice of the society balls continued until 1763 when Spain took over rule of Louisiana, and the Mardi Gras celebrations were banned. After the War of 1812, and Louisiana became a US State, the celebrations resumed. In the upcoming early years, New Orleans began to mark Mardi Gras with street parties, masquerade balls, and lavish feast. In 1857 a group of businessmen, “The Mystic Krewe of Comus”, hosted a parade through the streets of New Orleans. 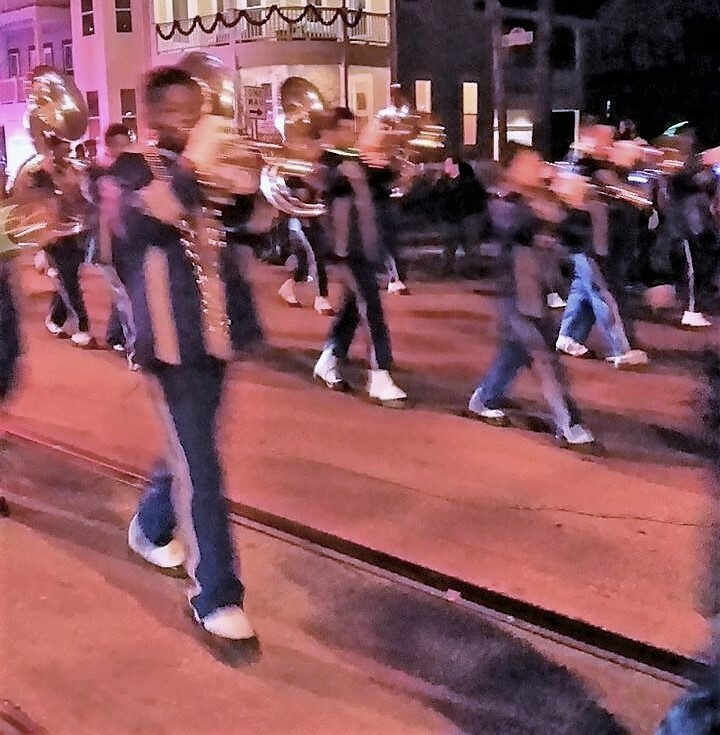 The torch lite parade featured marching bands, floats, and people wearing their masquerade costumes for the ball. In 1870 “Twelfth Night Revelers” hosted the parade that including the throwing of beads and trinkets to spectators. 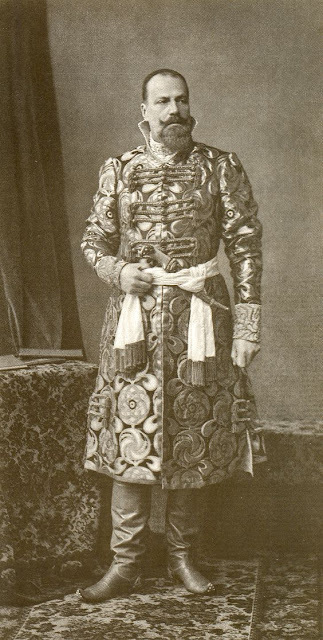 The year of 1872 marked the first “King of Carnival Rex”, a group of New Orleans business men invited the Russian Grand Duke, Alexis Romanoff, to preside over the parade. Purple, green and gold were introduced for the first time as the color theme for the parade, the colors of Romanoff’s family. Green represents faith, purple justice and gold power. 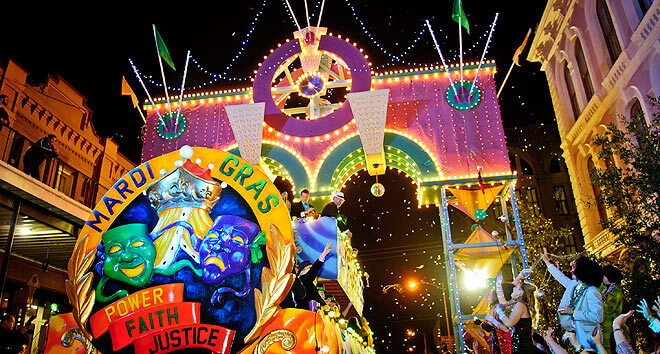 Galveston Island hosts the third largest Mardi Gras festivities in the US. 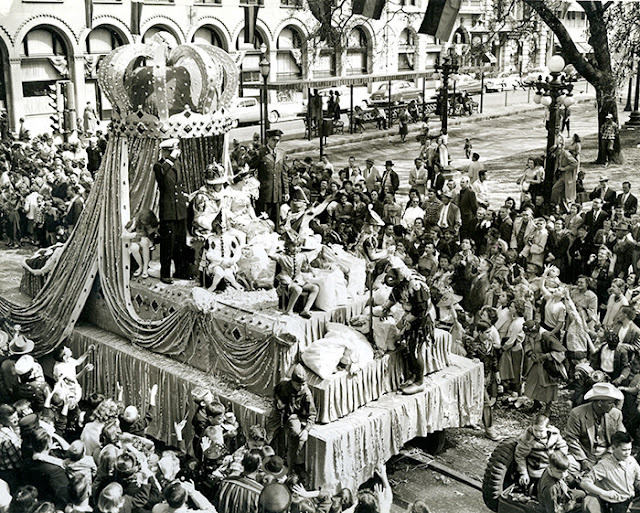 The origins of Galveston Mardi Gras date back to 1871. 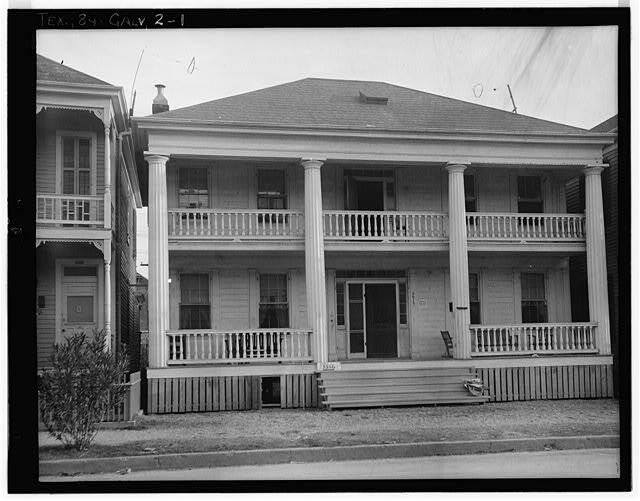 In Galveston, there were two Krewe rivalries; “The Knights of Momus” abbreviated as “KOM”, and “The Knights of Myth”. The KOM decorated torch lit horse drawn carriages, carrying couples in their masquerade ball attire, the parade made its way through town to Turner Hall, where the feast and ball took place. 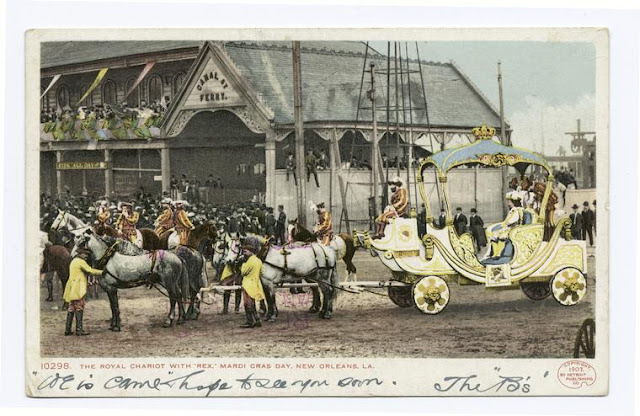 The Knights of Myth also hosted a parade featuring troch light carriages, there was an addition – automobiles, the parade took a different route through town and ended at Casino Hall where a lavish dinner and ball took place. With this rivalry came the quest to create a more lavish parade. The 1872 parade ended at the Grand Opera house, where caged canaries decorated the façade, and a lavish dinner and ball took place. The 1873 parade included Governor E. J. Davis, along with several members of his cabinet, the men were a feature of the parade, riding upon a float. As years passed the parades became more elaborate. A temporary break took place between the years of 1900 – 1917 after “The Great Storm”, a major hurricane that struck Galveston Island September 8th, 1900 leaving the island in ruins. The “Kotton Karnival Kids” revived the Mardi Gras parade in 1917. The lavish balls with ladies and gentlemen dressed in finery was revived. 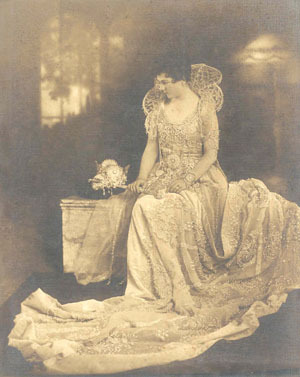 Ladies gowns were embellished with embroidery, lace, sequins, and jewels, and often featured long trains. 1941 when America entered WWII. With America focused upon war efforts, Mardi Gras ceased. For the following forty years Mardi Gras was hosted privately, large parties at local Galveston Clubs became the tradition. 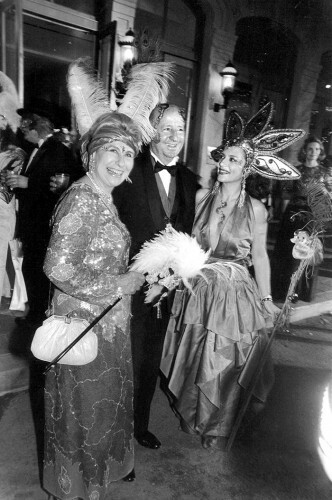 George and Cynthia Mitchell, who restored, and reopened the Tremont House hotel in 1984, celebrated the grand opening, with a citywide Mardi Gras celebration. A week of festivities including parades, events, and of course a lavish dinner and ball were organized. The following year the erection of Mardi Gras arches began upon Ship Mechanics Row, “Mechanic” Street. 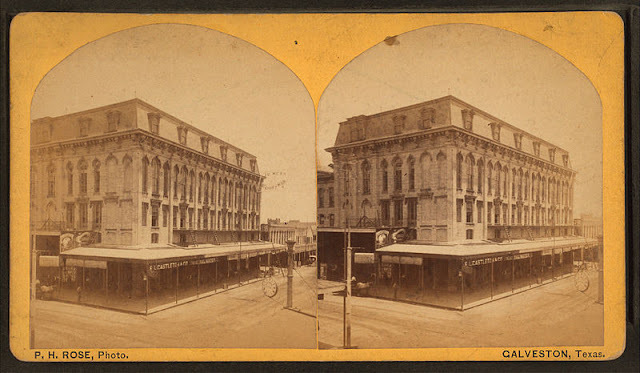 Today a single arch still stands at the Tremont House on Mechanic Street. Each year the streets of the island are alive with visitors looking on as parades wander past; bands, floats, vintage automobiles, and local celebrities make their way down the seawall, across Rosenberg Street, and in to downtown upon The Strand. 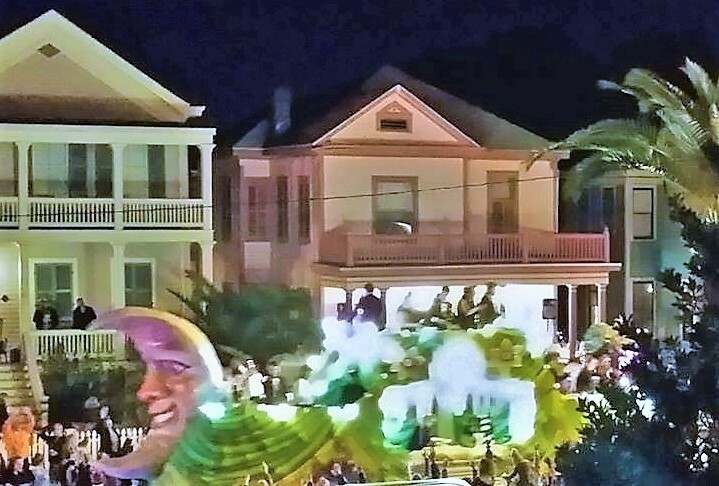 Beads fly to the exhilaration of parade watchers, the sounds of horns and drums beat through the streets, and the celebration of Mardi Gras continues.